I planned a “bucket list” closely following the movie’s adventures: a swamp lunch with alligators, midnight jazz on Bourbon Street, a spooky graveyard visit. My favorite story came to life, but the best part is that anyone could have this adventure—with any story. 1) A story-driven vacation is adaptable to your budget. Maybe you’re rolling in cash and love The Great Gatsby. Sweet! Head over to New York, tour all the historical mansions, throw on some pearls (or a suit) and find a party to crash! Of course, maybe you’re poor as Nick Carroway. Think you can’t vacation? Book a hostel in your nearest large city, tour their historical mansions, schedule a tennis lesson and wear your finest ’20s fashion to a riotous club. A story-driven vacation is about creativity, not luxury. There’s no pressure to break the bank. When you do splurge, it can be for a significant experience (Gatsby-inspired champagne, anyone? ), which is priceless! 2) It gives your vacation direction. There’s plenty to be gained from hitting the usual tourist traps of a location, and even wandering around aimlessly. But planning such trips can be a headache. What to see first? What to miss or not miss? 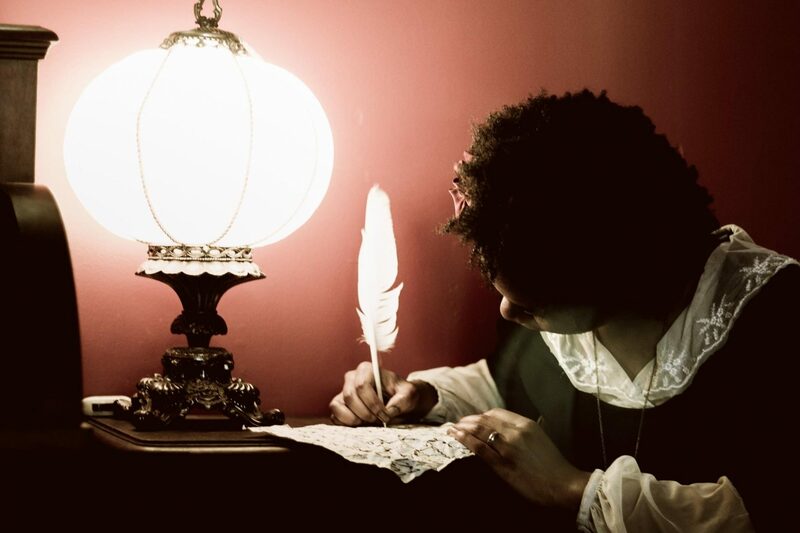 With a story-inspired vacation, your itinerary is already planned! All you have to do is find creative ways to live out the events and locations mentioned in the story, as defined by your budget. Normal vacations are about seeing. Story-driven vacations are about living. 3) You’ll do things you’ve never done before. For all my brave talk of adventure, I gotta be honest: my idea of a vacation is a cushy plane ride to a cushy hotel with cushy pillows. Sightseeing is fabulous of course, but I’m all about that comfort. Here’s what I had to learn: the best books and movies are never about comfort. If they were…there would be no plot! A story-driven vacation forces you to do exciting things you would never do on your own (Like swamp tours. Thanks a lot, Princess Tiana). And dancing with strangers! So without further ado: a brief guide! 1) Plan an activity for every major event in the book or film, from the perspective of your favorite character. 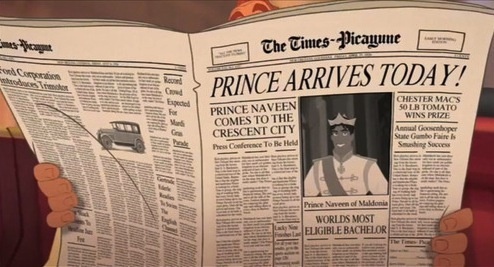 For me this was pretty straightforward, since Disney’s The Princess and the Frog is set in a real city. However, sightseeing isn’t enough! Find a way to emulate what your character does or accomplishes. For example, Tiana is famous for her “man-catching beignets” and dreams of opening her own place…so I planned a visit to Cafe Du Monde, the world famous New Orleans cafe and bakery. 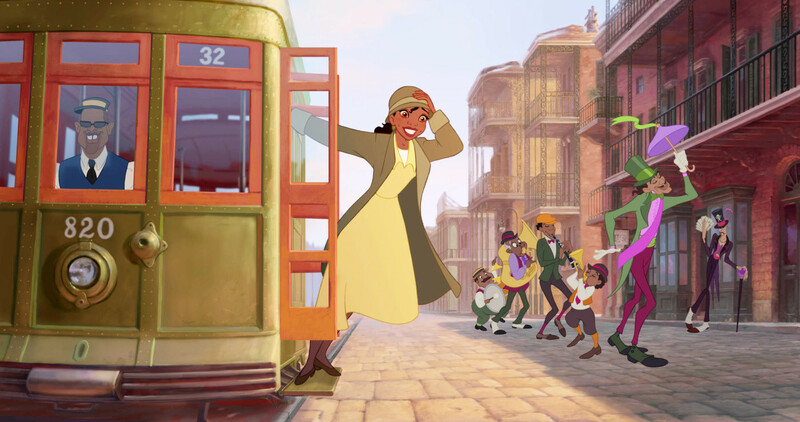 But I also scheduled an intense lesson at a New Orleans cooking academy, and arranged to travel there by streetcar, Tiana’s transportation of choice. It’s okay if your story is set in a fictional setting— you just have that much more creative freedom to plan! 2) Try to emulate the characters in how you dress. I’m not talking costumes (unless that’s your thing, in which case go for it). I’m talking about inspiration. How would Tiana and Naveen dress in 2015? This not only makes packing extremely entertaining, but makes it much easier to determine what to take. If a book is your inspiration, pay attention to the author’s descriptions of color, style, and theme. For Tiana I packed nothing but sunshine yellow, creamy white, and frog green! 3) Pick one major character trait, then find a way to emulate it. One of my favorite things about Tiana is that, more than anything, she believes in the power of hard, strenuous work to achieve her dreams. While her dream is to own a restaurant, my dream is to work as a novelist. So to emulate her work ethic, I vowed to write 1000 words for every single day of my vacation, no matter what. Rain or shine. So what if I’m half-fainted from New Orleans heat and my feet ache from sightseeing? Tiana worked two jobs in two different parts of town. So why use my vacation to become even lazier than I already am? I’d rather use this amazing week to become a more dedicated storyteller. Of course, it doesn’t have to be a positive character trait. If you’re vacationing as Aladdin for example, maybe your trait is to obtain as many free things as possible (without actually stealing, of course) ;) Find free activities! Sign up for a million restaurant “birthday freebie” clubs (Even if it’s not your birthday, naughty naughty). Ask for samples literally everywhere. Use your street rat charm to convince street vendors to sell two trinkets for the price of one. Too shy to barter? Do it anyway! Thieves of Agrabah can’t afford to be squeamish, right? 4) Take lots of pictures! This will give you more motivation to put thought into your activities and appearance, and make incredible (and hilarious) memories later! 5) Do it with a friend. This is obviously optional and not always possible— but the deeper I get into this trip, the more I wish I’d brought someone to share all the fun with. It’s double the adventure to explore as two characters instead of one. Next time I do this, I’m definitely bringing along one of my friends as Tiana’s fabulous bestie, Lottie…or maybe I’ll even find a Naveen! Travel companions make taking pictures easier as well. Ah well, I’ll just have to depend on my trusty selfie stick Wand of Solitude. 6) Introduce yourself as the character at least once. Now that you can plan an adventure of your own, I’m so excited to share my own story-driven vacation with you! Catch up on my misadventures here, and see whether this rather pampered writer can last a week in Tiana’s hard-working, adventurous shoes. This is great! I love the idea of giving your adventure some direction with a story. You are so creative, and it looks like a really fun trip. I’ve just came across and read this as well your actual adventure of vacationing like Tiana! I’ve got to say I absolutely love it! Great idea and love how you pulled it off, its definitely something I’d love to try! Now just to figure out who!